Mac OS X comes in with a great functionality for screen sharing which many teachers overlook. You can use this feature to connect to another Mac in the same network and display its screen on your Mac and even remotely control its mouse and keypad. You can also share your own Mac screen with others. Mac’s screen sharing is a great collaborative feature to use when working with your colleagues on a project or a presentation. 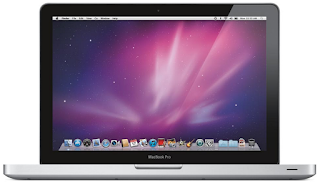 It is also ideal for accessing your Mac while you are away or for helping someone troubleshoot a tech-related problem. There are two ways to use screen sharing feature: to share your screen with others or have others share their screen with you. You can also check Apple's Help page for more details. A- Open Sharing preferences if it isn’t already open (choose Apple menu > System Preferences, then click Sharing). B- Select the Screen Sharing checkbox. C- If Remote Management is selected, you must deselect it before you can select Screen Sharing. All users: Anyone with a user account on your Mac can share your screen. Anyone may request permission to control screen: When other computer users begin screen sharing your Mac, they can ask for permission instead of entering a user name and password. VNC viewers may control screen with password: Other users can share your screen using a VNC viewer app—on iPad or a Windows PC, for example—by entering the password you specify here. If this computer’s screen is shared only by other OS X users, turn off these options and add accounts for the other users. A- Open a Finder window. If no shared computers appear in the Shared section of the sidebar, put the pointer on the word “Shared” and click Show. B- Select a computer, then click Share Screen. C- If you don’t see the Mac you want, click All to see all the available computers, double-click the one whose screen you want to share, then click Share Screen. By asking for permission: Ask the current user of the other Mac for permission to share the screen. As a registered user: Connect to the other Mac using a valid login name and password. If the other Mac allows only specified users to connect, use a name that’s in its list of allowed users. Using an Apple ID: Connect to the other Mac using an Apple ID. You must be set up in Users and Groups preferences with this Apple ID, on both this Mac and the other Mac. If someone else is already connected to the Mac as a remote user, a dialog asks if you want to share the display with the other remote user (Share Display), or log in concurrently using a different user name and screen (Log In). Choose the option you want. If you choose Log In, you will share the Mac with the other remote user, but you won’t share the same screen. If you know the IP address or the DNS name of the Mac you want to share, you can also connect to it by choosing Go > “Connect to Server” in the Finder, and then entering vnc://[IPAddress] or vnc://[Name.Domain] in the Server Address field. To find the address of a shared Mac, open Sharing preferences on that Mac and select Screen Sharing.